The library is a stylish building — stained glass artwork pieces hang between the wooden beams in the raised ceiling — in a neighborhood of small houses with cracked-paint siding. Ramon Manton, a young adult in a black hoodie, sagging jeans and a checkerboard belt, flips through the latest issue of Ebony. He checks out CDs of hip-hop music, scans the DVDs for interesting foreign films. Lonnie Craft, an older fellow in a pair of worn-out blue overalls, scans the electronic catalog. He’s trying to find technical books about converting three-phase power motors. “If it wasn’t for this, I guess I could go up to Hillyard or the South Hill,” Craft says, but that’s a lot less convenient. This year, the city of Spokane asked SPL to cut 6 percent from its budget, leaving the library with a $200,000 deficit. The proposed solution: Shut down the East Side branch. And even if the East Side branch closes, even if they fire its four employees, there would still be a $50,000 to cut. Technically, the money the library gets for 2011 is about the same as the amount it got in 2010. But with scheduled raises and increased utilities costs, the library’s fiscal outlook still shows red. “What?” John Bychkov’s eyes go wide after hearing the library might close. He’s an enthusiastic 12-year-old, with a penchant for Westerns and books about the Civil War. “Too bad for me,” he says. He goes to the library almost every week, and already knows where all the stuff is. His mother is with his little brother over at the children’s corner — the one with the cutout drawing of a snake captioned “Wrap Up in Books” curled around a novel — looking for stories to learn how to read. “When are they going to shut down the library?” Jeremy Gonzales, an eighth-grade student yells across the library to the checkout attendant. Without Internet at his house, he has to use the library computers for Myspace. For now, at least. That, his reaction could be paraphrased, would be pretty stupid. Gonzales isn’t alone in his thinking. More than 100 people attended an Oct. 27 Library Board meeting, many passionately urging the board to keep the library open in the low-income neighborhood. In his library office, Branch Manager Dennis Bergstrom makes it clear he can’t predict what’s going to happen. “My job is to make work whatever’s decided,” Bergstrom says. He knew there was going to be a major budget crisis last spring. It wasn’t until September that he heard his branch might close. And right about that time, attendance went from bad to worse. Therein lies the challenge. In practical terms, there are very few better options than closing the East Library. 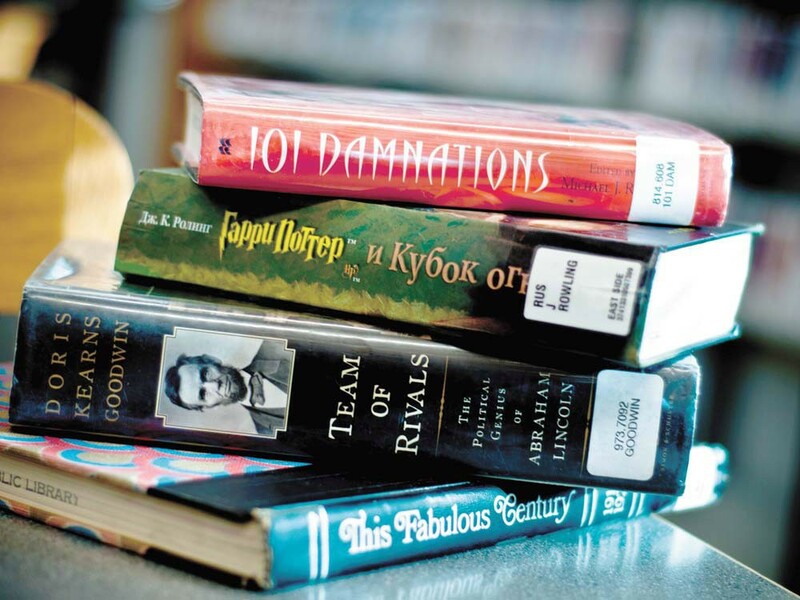 Less than 47,000 people came through the doors of the East Side library last year — that’s 15,000 fewer than the Hillyard branch. It has the smallest number of books. Its circulation was only about 89,000 last year, 49,000 fewer than at Hillyard. It’s in a low-income neighborhood, with I-90 blocking traffic from the north. The Hillyard, South Hill, and Downtown branches are all within three miles of the location. But Spokane’s libraries have been in this situation before. Big budget cuts have been a regular occurrence since 1996, back when the library used to offer a literacy program and grant-writing services. The worst came in 2005, when SPL was commanded to slash 13 percent of its budget. Jobs were lost as plans were made to close not only East Side, but the Hillyard and Indian Trail branches as well. SPL Director Pat Partovi explains they’re working out a deal with the East Central Community Center next door. The community center would take over the library building. It would use grant money to continue to offer computers and Internet access. And library patrons could still turn in their library books at the center and request transfers from other libraries. “Short term, this is the best we could come up with,” Partovi says.